Welcome to Day 3 of our Your Best Life Challenge, YBLers. Today I’d like to share a tip with you to move you forward that is the best investment tip I have ever been given. And no, this tip has nothing to do with buying or selling stocks or investing in real-estate or any form of bit coin purchases. No, this investment tip is simply for YOU to invest in YOU! Invest in your personal growth and advancement. It’s actually fascinating to me how many people want to live better lives – they wish to be more successful. Many of these people talk about the success they wish they had and often they will actually research and seek out resources (podcasts, books, videos) in an attempt to grow themselves, but few actually achieve real tangible growth and success. I believe that is because few people actually step over the line and FULLY COMMIT the time, energy and funding required to actually advance themselves. In fact, most people step back into the shadows and don’t follow through when the time comes to actually step forward and take on intensive personal development opportunities that exist. And yet, these people can’t see that these desires require us to do what others don’t and won’t do. The most important aspect of achieving these desires is the aspect of investing in the growth and development of ourselves. Now, many people will say that they watch podcasts and they read blogs and buy “How To” books and yet they still aren’t seeing the return on investment that they had expected. They aren’t getting anywhere close to where they want to be. And I’d say that this is understandable. Because even though doing these things seems to demonstrate commitment to growing oneself, it’s not the level of commitment required to actually take you to the mountain top of your potential. Studies show that paying for something (in particular if that something is fairly expensive) does something for us internally that establishes significant commitment. Although many self-help books or podcasts have good information in them – the cost of most of these types of learning is relatively low and so our interest and retention commitment levels also remain low. Investing in a significant course, workshop, or conference that is fairly pricy on the other hand demands a significant commitment. That commitment in many ways becomes a declaration act in our brain. Our brain says, “wow you are spending a lot of money here on this thing, you better darn well get a lot out of it!” And so, we become very committed to the learning and growth process. We cross a threshold in our minds, and we commit to our own personal growth because we are WORTH IT! In committing to ourselves and our personal growth by stepping out of the shadows and investing we are far more eager to get every last nugget out of our investment and our attention to that investment lasts, because we are personally invested. Research has been done in regard to conference-goers, some who have paid on their own dime to attend the conference and others have been sent by employers. The findings astoundingly indicate that those who actually invested their own money to attend the conference ended up retaining significantly more information and had far longer lasting residual results from the learning they gained than the person who had their conference paid for. You see, one person was invested financially, and their brain had declared that they were invested. The other person received the same information but was not financially invested and most of these people’s brains were on holiday mode for much of the conference. Their learning and actual implementation of the learning were much more limited than the person who funded their own way to the exact same conference. So, the question becomes “how much should I invest in myself?” Well, here’s the answer that a mentor provided me: from every dollar you earn you should take ten cents right off the top and tithe that to help out the people of the world. For many of us that’s not necessarily a new concept as it’s a common theme through religious and philanthropic organizations around the world. Give to others before you give to yourself. Then, the next ten cents off of every dollar earned should be put aside for your own personal development and growth. Tithe ten cents on every dollar earned to yourself and your development. Many people have told me over the years that they can’t afford to tithe ten cents of the money they earn for themselves and I would argue if you can’t afford ten cents off of every dollar to invest in yourself you should probably be putting even more away then! But no matter, even if you put five cents or three cents away from each dollar earned – commit to doing it! Start somewhere! Because this type of investment is where you are going to see huge growth in your return for investment. Many of us have come from dysfunctional homes and childhoods, maybe we don’t see ourselves as overly smart or gifted with unique talents or abilities and possibly we have very little post-secondary education. By the world’s standards you may see yourself as totally forgettable. But you don’t have to be and even more importantly you shouldn’t be! By using this personal growth and development investment strategy you may become one of the most intelligent and influential people others will know. Your profile will grow, your wealth will grow, your ability to ignite impact will grow far past what you believed you would ever accomplish. In my own life I have seen all of what I am speaking about in today’s challenge occur. Simply because I have crossed over a mental barrier and believed that investing in ME is going to allow me to change my vision of me and become super successful and provide a life for my family and I that even a formal education would not lead me to. This investment-in-me philosophy has allowed me to become a recognized person of influence and has helped me positively financially impact others in my local community and around the world who are less fortunate. By investing in myself I know the difference between what I have become and have been able to achieve and create is much, much more than what I would have become without the investment. In fact, I would say the investment in myself is priceless in its impact on me. 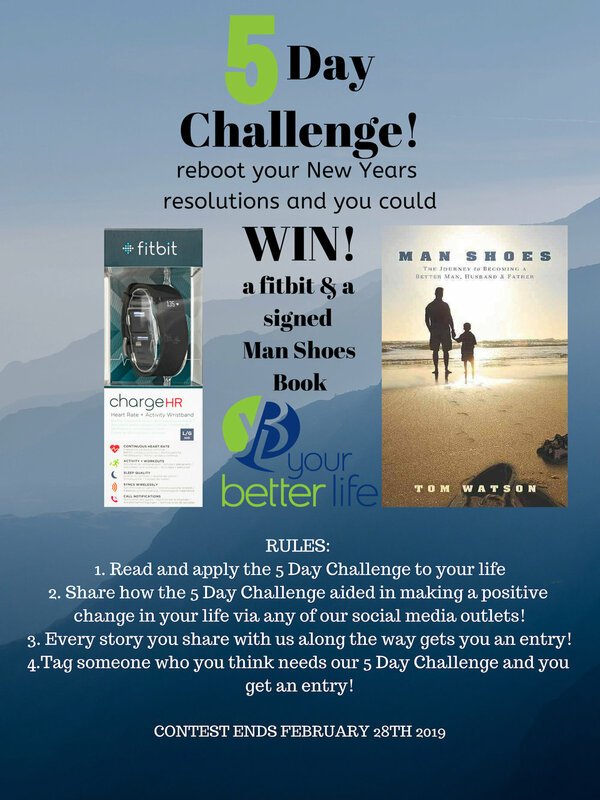 So Challenge 3 is all about changing your mindset. It’s about accepting a philosophy and implementing a new investment perspective and strategy for ourselves. If you want to raise yourself up and be exceptional – and live an amazing and impactful life in any and all areas of your life, then take ten cents from every dollar you earn and invest it in yourself. Open up a personal investment bank account and have the money auto transferred out of your regular bank account monthly and placed into your personal investment bank account. Now you YBLers whatever you need to do to get this going – get out there and get it started! Do it! Get going on Challenge 3, get your personal investment accounts set up, and check in with us tomorrow as we move on to Challenge Day #4. Day 4: Can Stress & Pressure Be A Good Thing??? Day 2: Stop Letting People Pee In Your Punch!